Boeing announced in late 2014 that the board has given authority to offer a 737-800 Boeing Converted Freighter (BCF) the first aircraft, a 737-800BCF for West Atlantic, was converted in Dec 2017 by conversion by the Chinese modification joint venture Boeing Shanghai Aviation Services and is due for delivery in April 2018 after flight testing in the US and certification. 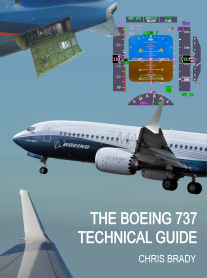 Speaking in 2014, Dan da Silva, Vice President of Modification and Conversion Services at Boeing, described the 737-800 BCF as possibly the simplest conversion Boeing has ever done; the result of a design philosophy that balances capability and the need for a very competitive price. The longer fuselage, compared to the 737-400, means it can carry 12 pallets (11 88in x 125in and one 53in x 88in) on the main deck – one more than the 737-400, giving it a maximum payload of 26,300kg with a 2,000nm range. And of course the 737-800 has significantly lower operating costs than the older generation 737-400. Also Boeing is reviewing the aircraft conversion processes to reduce flow times. The need for the aircraft is driven by three main considerations: the first is regulatory pressure in key markets where there are age limits on aircraft, such as China; secondly, demand in China is such that by 2020 there will not be enough 737-400s to meet requirements; and finally there is a need for more advanced avionics to take advantage of RNP and FANS capabilities, which today require airlines to invest between $2 and $3 million to upgrade older generation 737-300s and -400s. There is still very high demand for the aircraft for passenger use though 737-800 deliveries started in 1998, with many being part of sale/leaseback deals. As 10-year leases are completed there will inevitably be returns as well as renewals, which should provide adequate feedstock, anticipates da Silva. Boeing is also considering the 737-900ER BCF, but not until the early 2020s. This conversion would potentially offer higher payloads than the 737-800 BCF, getting somewhat closer to the 757-200SF, says da Silva. That aircraft is ideally suited to the Chinese market and, despite demand being strong, feedstock is extremely limited due to both the FedEx acquisition of more than 100 aircraft (the latest from United) and the fact current operators are hanging on to their aircraft until the end of their economic life. Unannounced until now, IAI Bedek has also applied for a licence for the 737-700/800 and is already in advanced discussions with a launch customer, says Jack Gaber, Senior Vice-President Marketing and Business Development. The first project will be the 737-700, with work due to start in the first quarter of 2015, for first delivery in 2016. The 737-800 will start in late 2017, with faster redelivery coming in early 2018. Though these aircraft are more expensive, this is a relatively low-cost conversion, he says, and there is a real effort to design to cost in order to make the project viable. The 737-800 variant should also have the greatest demand. Gaber notes that all the 737NG projects will produce aircraft with similar payload/range characteristics, thus he is slightly surprised by Boeing’s entry into the market. The company will receive the licence fees from all the other players regardless, so he does not see how an OEM can either compete effectively on cost with specialist conversion houses or bring forth any unique product enhancements. Aeronautical Engineers formally launched their programme in 2015. Israel Aerospace Industries (IAI) has received US approval to conduct passenger-to-freighter conversions on Boeing 737-700s. IAI says it has received a supplemental type certificate from the Federal Aviation Administration and has delivered the first converted aircraft to Alaska Airlines. The Seattle-based carrier has ordered three converted 737 freighters from IAI. Aeronautical Engineers, Inc. (AEI) announced today the company has signed an agreement to provide up to 30 twelve pallet position B737-800SF conversions with an undisclosed customer. The agreement calls for 15 firm orders with an additional 15 options. The modifications for the customer will begin in late 2018 with deliveries beginning in 2019. To date, and including this recent announcement, AEI has received a total of 80 firm orders and commitments for its twelve pallet position B737-800SF. The conformity aircraft for the 737-800SF conversion program is currently on location at Commercial Jet’s facility in Miami, FL. The AEI B737-800SF converted freighter will be able to accommodate eleven 88”x125” AAA full height containers or pallets and one AEP/AEH container for a total of 12 positions. Depending upon the aircraft model and aircraft weight limits, the AEI B737-800SF will be able to carry a payload of up to 52,000 LB (23,587 KG). Additionally the AEI B737-800SF freighter will incorporate an 86” x 140” main cargo door and will include up to 5 supernumerary seats. Boeing has received the first commitment to order a converted freighter version of the 737-800 from a Chinese start-up airline, but the programme has yet to be launched. Boeing confirms that the Hangzhou YTO Express has signed a commitment to order the 737-800BCF. The company did not provide numbers, but a Chinese aviation news site reports the YTO commitment numbers 15 aircraft. YTO launched service on 26 September with a 737-300 cargo aircraft, the first of three the airline expects to receive. Meanwhile, Boeing is still building a business case for launching the freighter conversion of the 737-800, the company tells Flightglobal. Both Boeing and Pemco have been polling customers for interest in the type as the next-generation series of the 737 is replaced by the re-engined 737 Max. Boeing reportedly received an authority to offer the 737-800BCF last year, but has not publicly announced any commitments until the YTO deal. The company remains in discussions with multiple airlines about the type, Boeing says. "We look forward to launching the 737BCF program once we have met our launch criteria," Boeing adds.